Toward and Innellan pupils go to the Capital. 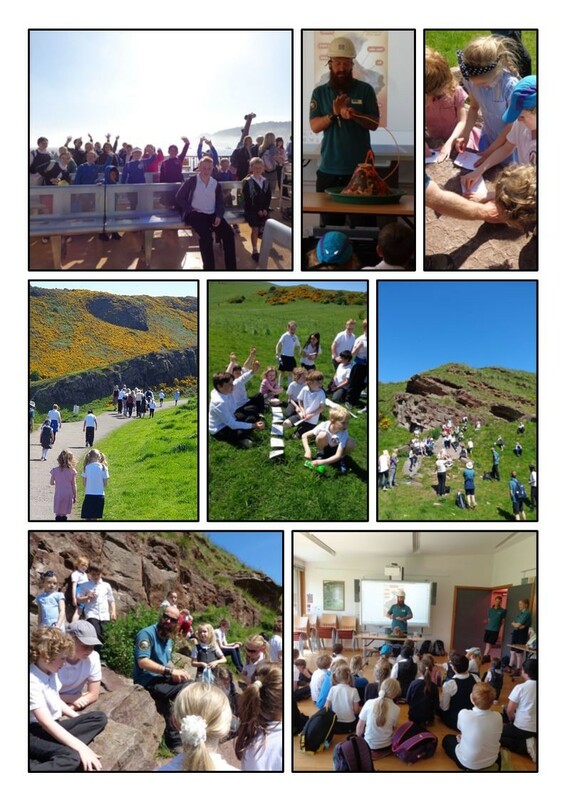 Pupils travelled through to Edinburgh to Holyrood Park where with the help of Rangers from Historic Scotland they travelled back in time to study the nature and type of volcanic activity was involved in shaping Arthurs Seat. They learnt the names for all the different parts of a volcano and were able to identify the different features in the surrounding landscape. They discussed and studied the best place to be if a volcano was about to erupt and decided to be as far away as possible especially as one of the Rangers mixed some vinegar and Bicarbonate of Soda to make a chemical reaction. In the afternoon the senior pupils visited the Scottish Parliament. 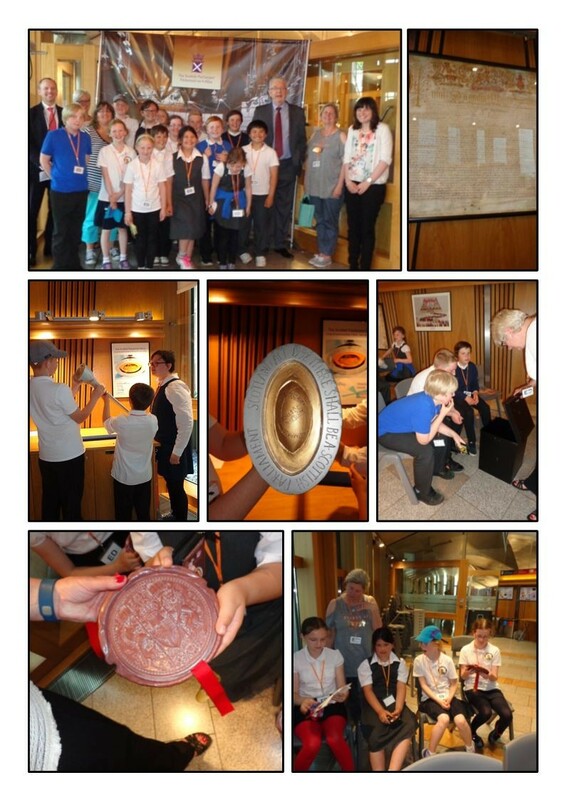 They got to study some of symbolic artefacts that are used in the Parliament and guess what they are used for. Using iPads they took part in a quiz where they had to decide which powers were devolved and which were reserved. Some of the pupils were very good and scored very highly in the quiz. They also got to meet their constituency MSP, Michael Russell and one of the Regional MSP’s, Donald Cameron. Michael and Donald were asked a wide range of questions about why they wanted to be MSP’s, what it was like and what they liked most about their jobs. After putting the MSPs through their paces the pupils went into the chamber and sat listening to some of the speeches. We now have a few pupils who have decided what their career choice is going to be. In the meanwhile, the infants visited Dynamic Earth where they travelled back to the beginning of the world with a ‘Big Bang’, followed by a rapid journey through time the present day. They got to see different landscapes and touch an iceberg. The 3-D cinema fascinated the pupils as they saw scorpions, sharks, elephants and all sorts of wide animals and they learnt about how we need to look after our environment. Eventually we had to come back to the present and come home. The journey back was long due to rush hour and roads works but we all had a great day and learnt lots.